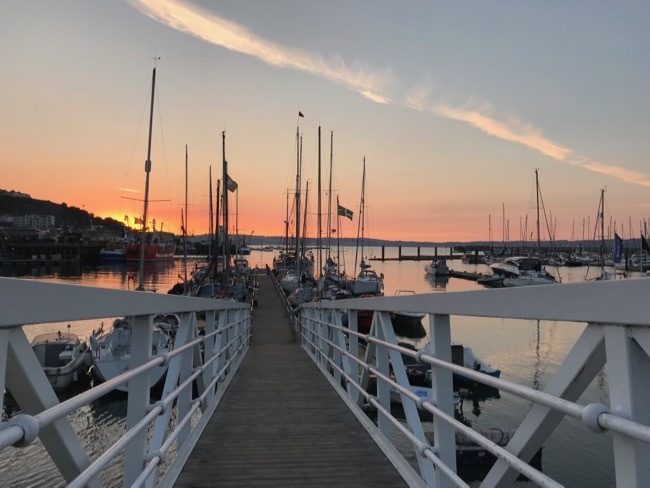 Brixham is an absolute favourite salty place of ours. Our adventures have taken us here frequently over the past few years, and we keep coming back for more. 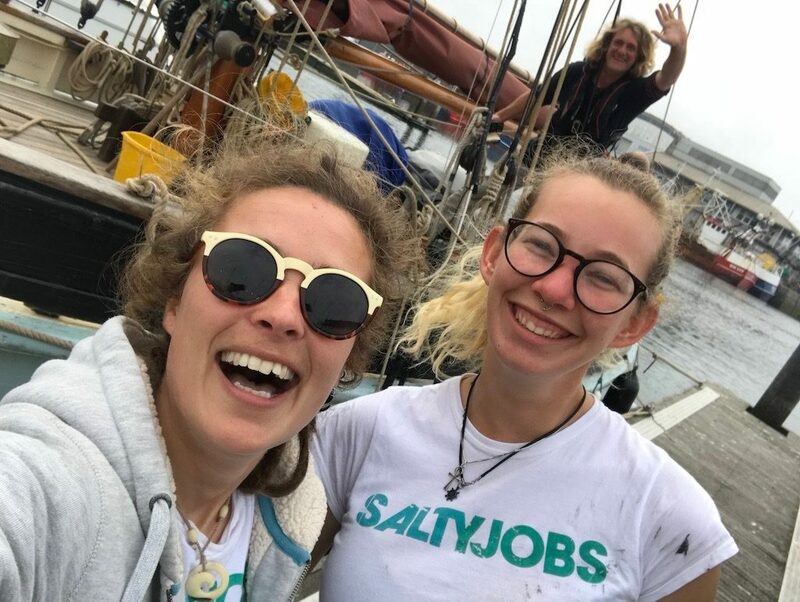 The past week has been no different and we wanted to share what we’ve been up to, and introduce some of the inspirational salty folk we keep bumping into. I.R.I.S. 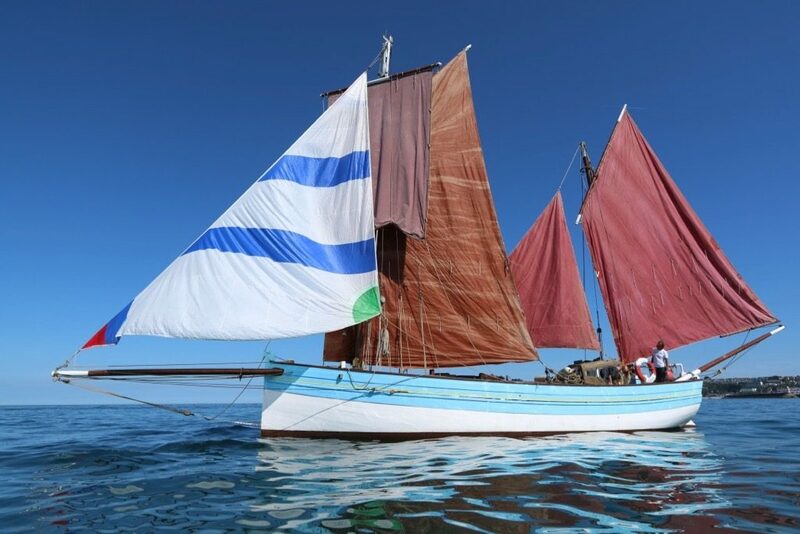 is a 1921 Looe Lugger, owned by captain & marine artist Toni Knights. Toni has owned I.R.I.S. for over 18 years, and is nearing the completion of a long restoration & refit, ready to head south for warmer climes. I.R.I.S. 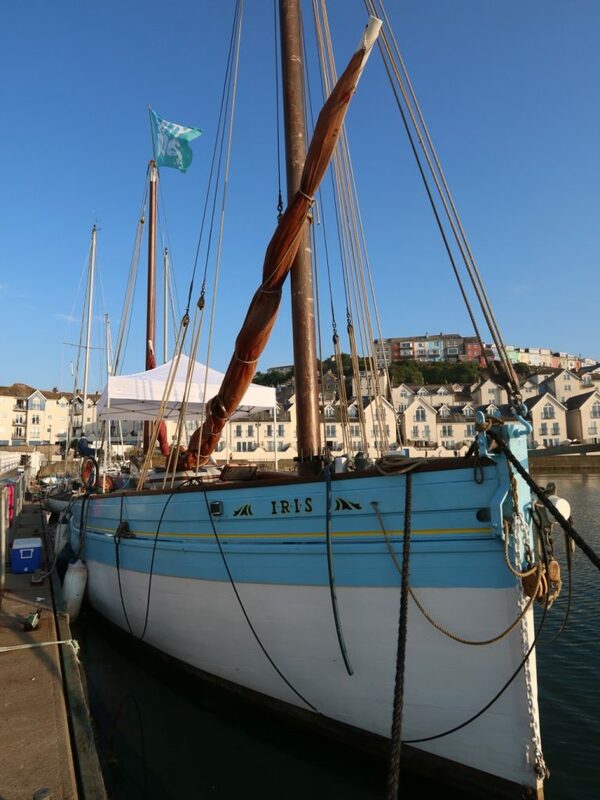 is 40ft on deck, with a traditional lug rig, and her home berth is in Brixham. 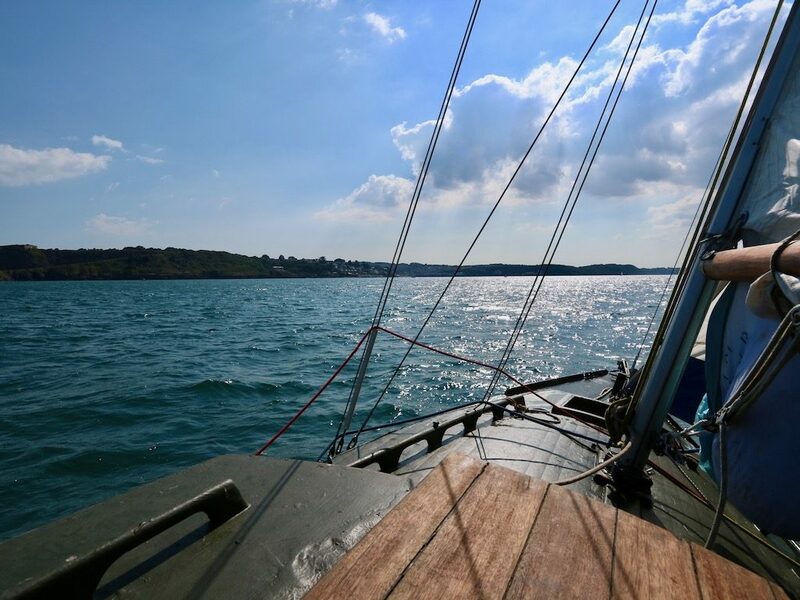 She has been sailing around Torbay engineless for the past few years, and is much admired locally & further afield. The current mission? Get I.R.I.S. 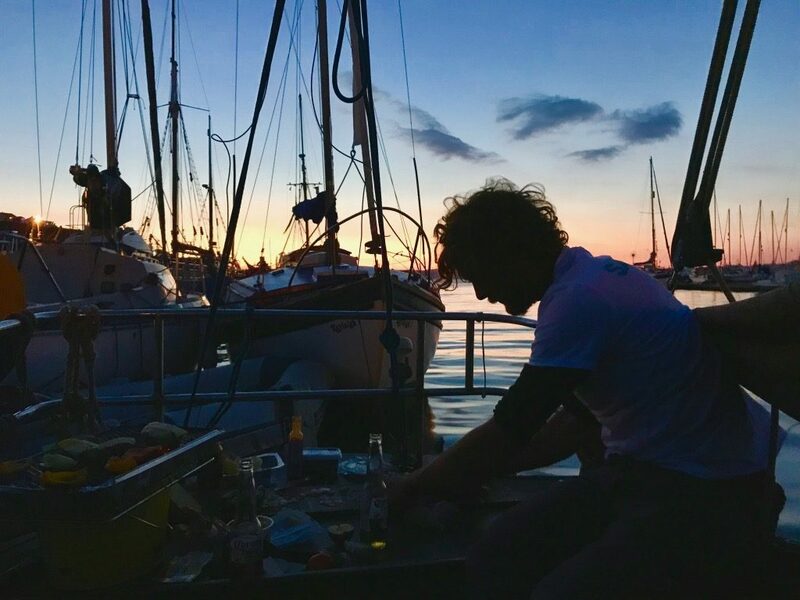 ready for sea, and sail her across the Channel to the Douarnenez maritime festival which starts on the 25th July 2018… it will be the first time she’s ever been. As you can imagine the boat is a current hive of last-minute activity. 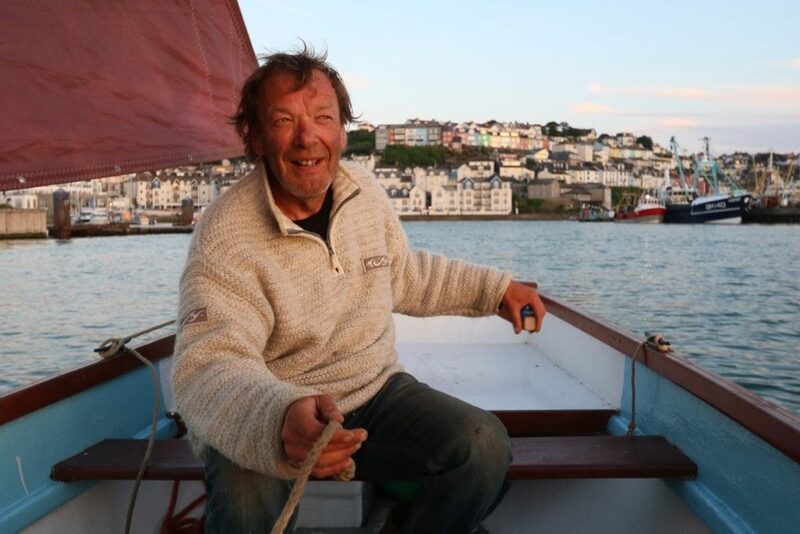 Toni is a legend amongst these parts – traditional sailing skipper, trawler captain and marine artist. 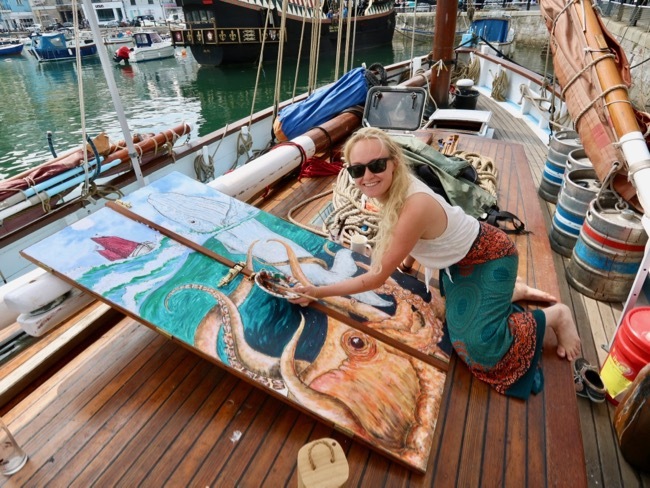 Toni works as a skipper for Trinity Sailing, based here in Brixham, and devotes the rest of his time to his much-loved I.R.I.S., a living and breathing piece of Toni’s own artwork. Lent to the cause by SaltyJobs, we helped I.R.I.S. put up this smart marquee, ready for quayside art sales in the Mediterranean! 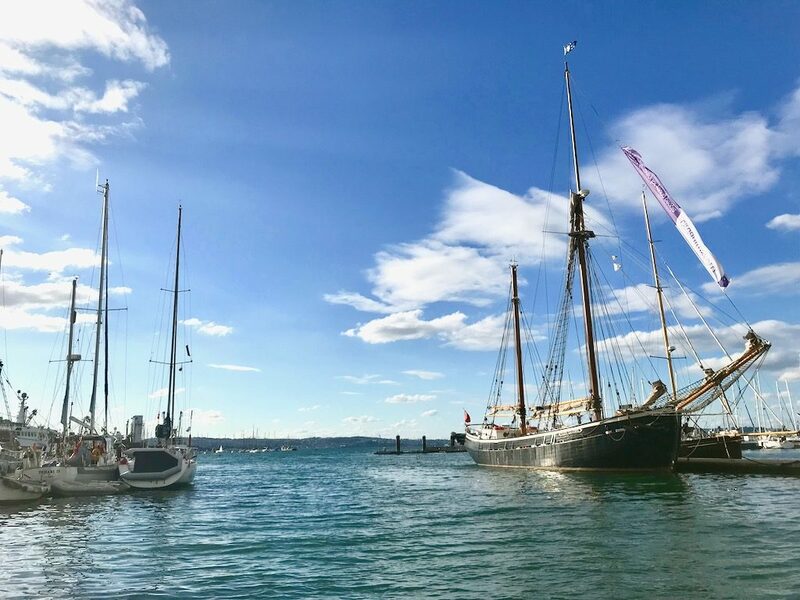 Trinity Sailing Foundation are based in Brixham, operating their three traditional vessels Leader, Provident and Golden Vanity. It’s always great to catch up with the crew and hear about their latest voyages. Even better when they’re supporting the SaltyJobs cause! 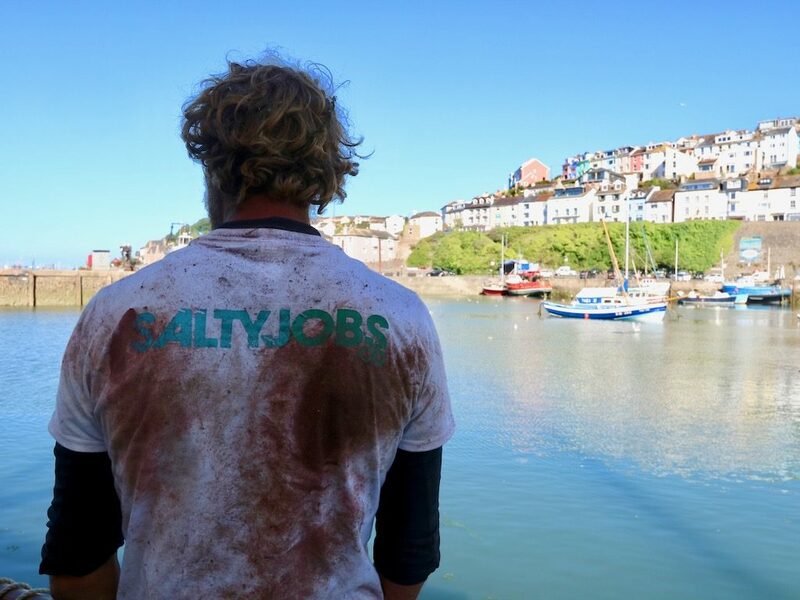 Eli is First Mate onboard Golden Vanity, and latest winner of our salty t-shirt competition. The Cirdan Sailing Trust’s vessel Queen Galadriel even turned up alongside in Brixham, which I was very happy about. 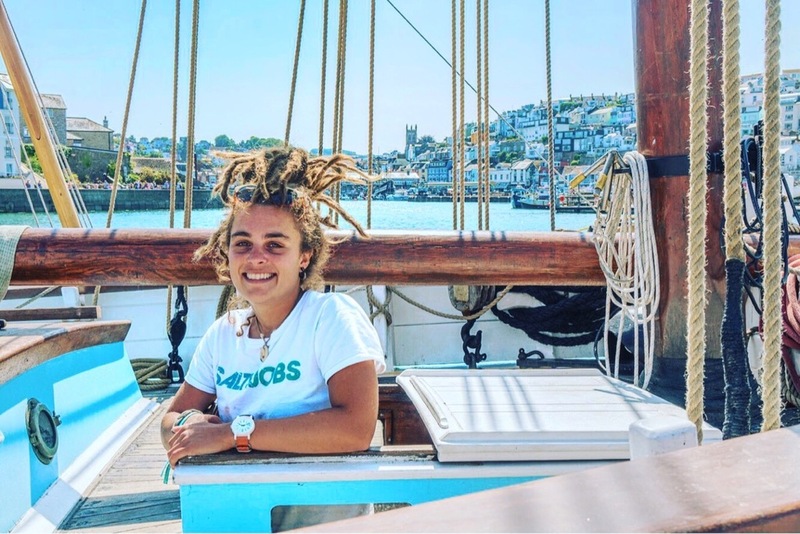 I first sailed onboard her as a 17-year-old young volunteer and then returned in 2016 to work the full season as First Mate. 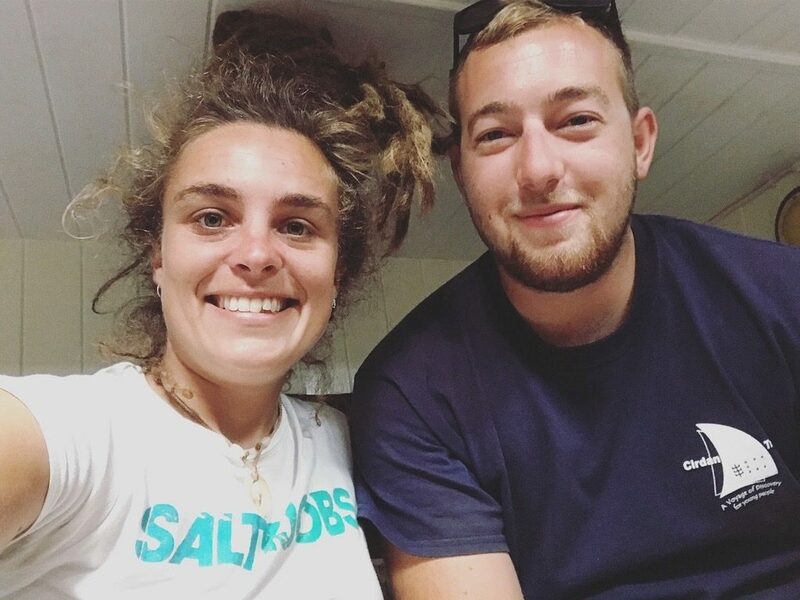 It was great to go aboard and say hello to my old Bosun Charlie, who has since completed his Yachtmaster and promoted to First Mate this season. Nice one young Charles! 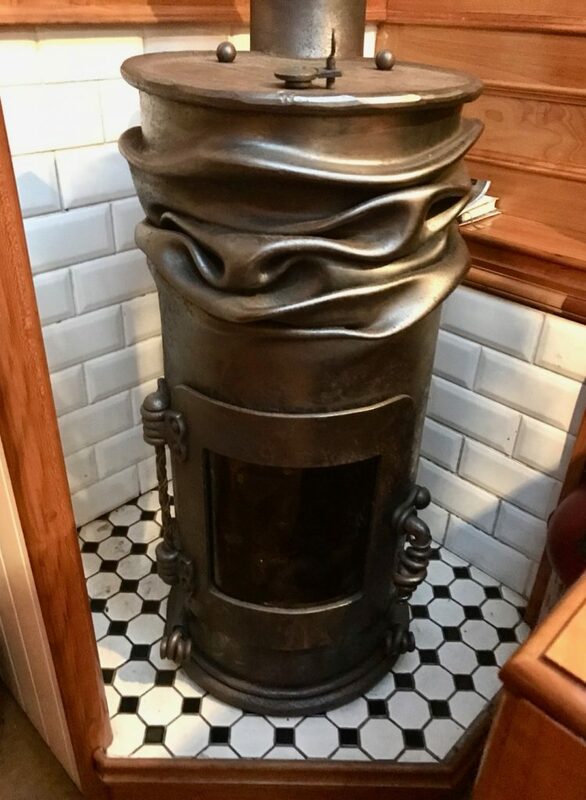 Want to have your own salty adventures? We work with top marine industry employers to bring you opportunities to fulfil your dreams on & around boats and the water. 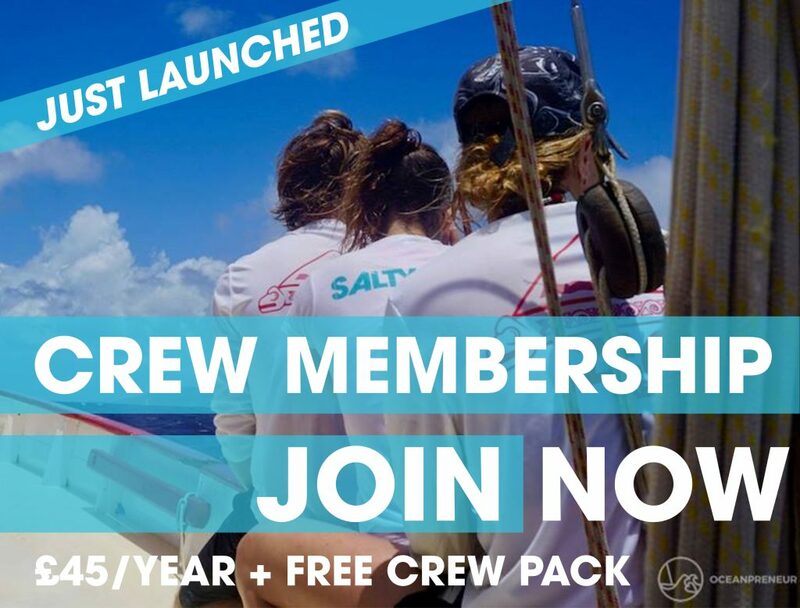 Join our Crew Membership now to get your FREE Crew Pack inc. t-shirt, discounts & offers from our partners and extra career support. Top marine employer? 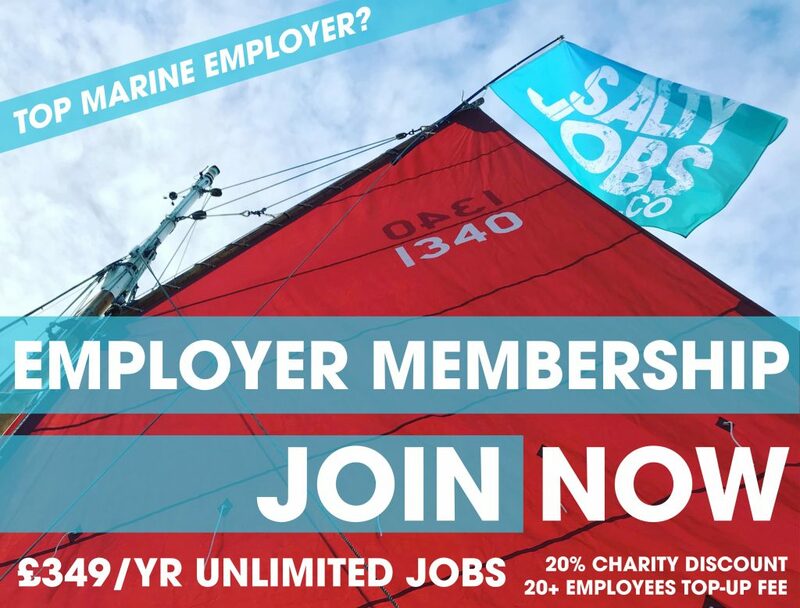 Apply to join with a SaltyJobs Employer Membership or post a job now.